Ecology/Life History Overview: This can be one of the most common Sphingidae in the Eastern USA. 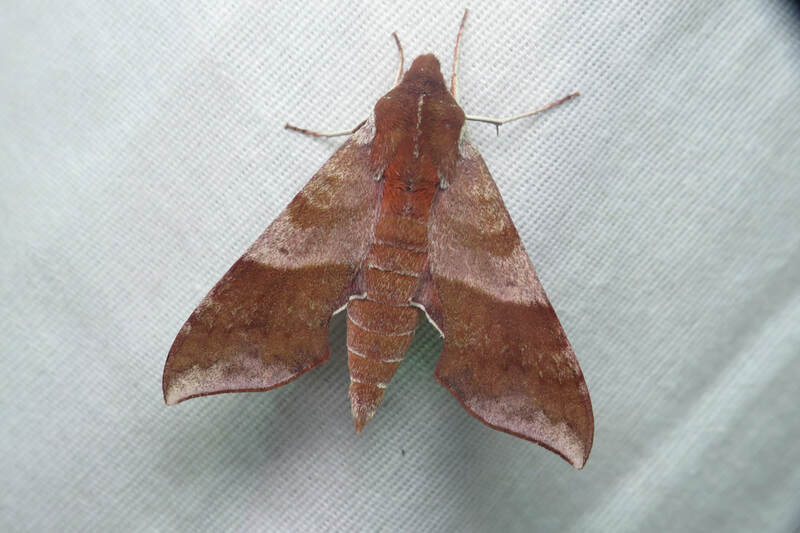 It is also found in Canada and parts of the Pacific Northwest. Darapsa choerilus is found in a wide variety of habitats, and often thrives in urban areas close to people. 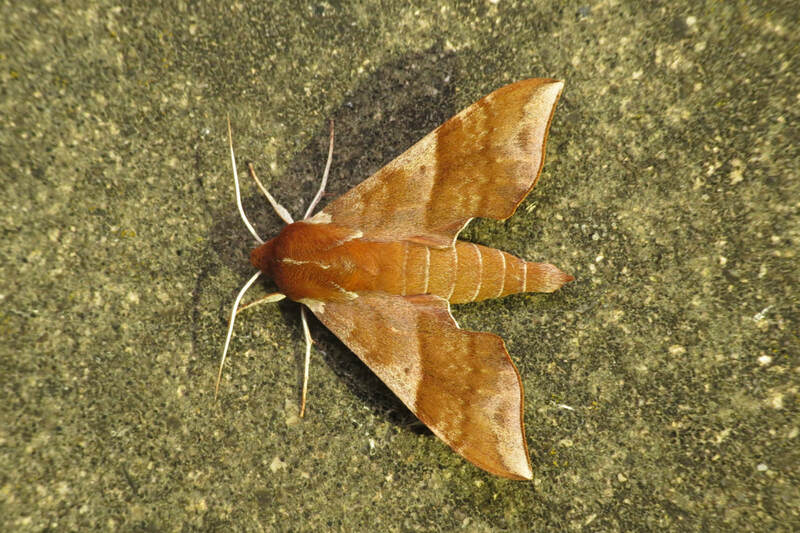 It flies in the summer months in the Northeast, but can be found most of the year in the deep South. 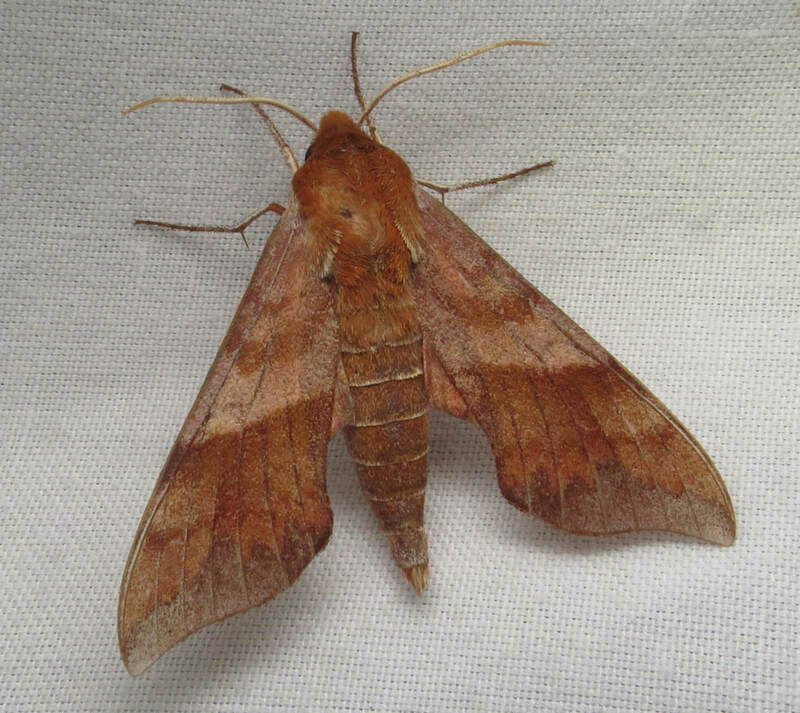 This species does feed, and will come readily to baited trees as well as light. 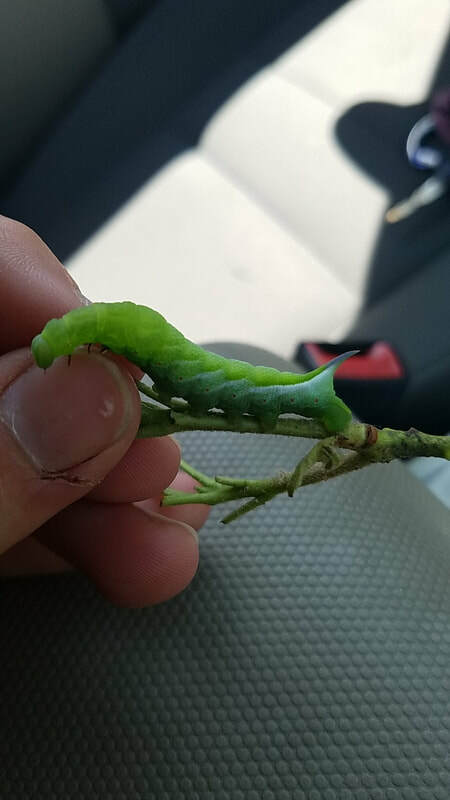 The larvae of this species are found on Viburnum spp including many of the cultivated species. 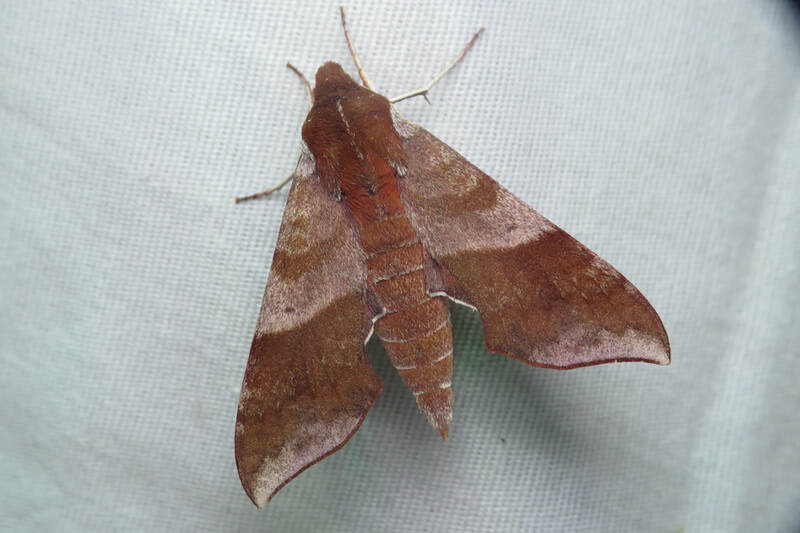 Habitat/Searching for Larvae: This moth is found in a variety of habitats, from deciduous forests, to urban areas, to pine barrens and everywhere in between. In landscaped areas, Viburnum species are often heavily favored, which directly benefits this species. The common name of this species is an interesting choice, while not incorrect, this species is found far more often on Viburnum than on Azalea. In the Pine Barrens, this species can also occasionally be found on Vaccinium (1). 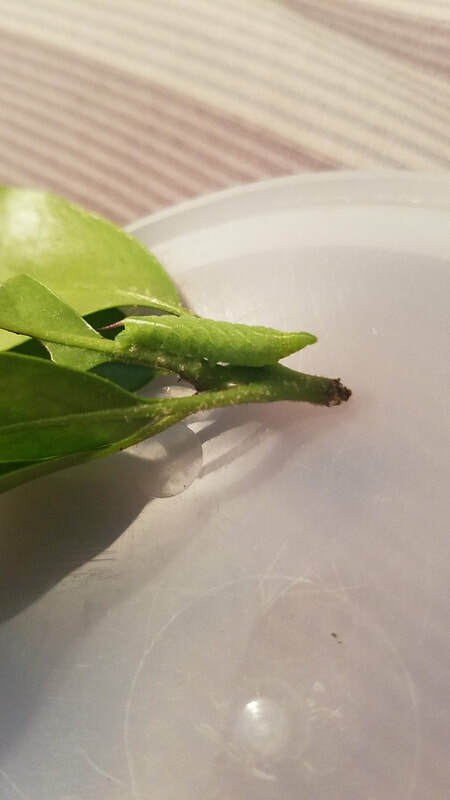 Finding larvae can be difficult, in the Northeast, Viburnum species used by this moth are also usually defoliated by the Viburnum Leaf Beetle (Pyrrhalta viburni) which makes searching for the plants difficult at best (1). 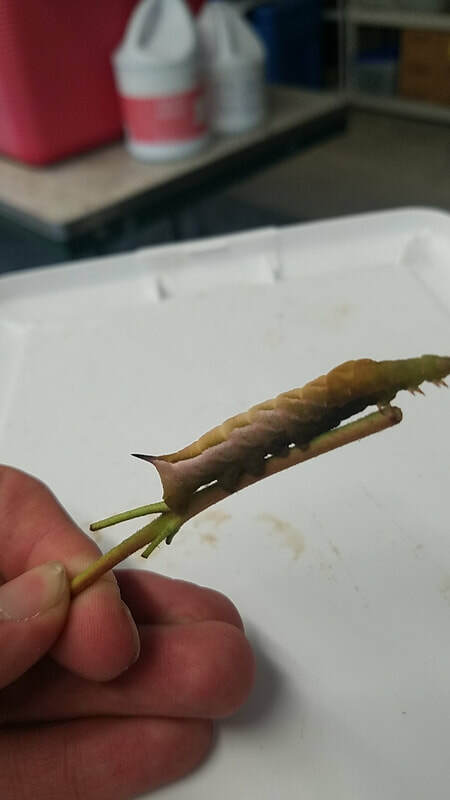 Rearing Notes: The larvae are very easily reared in captivity, and have no problem pupating in either moist paper towel or soil. 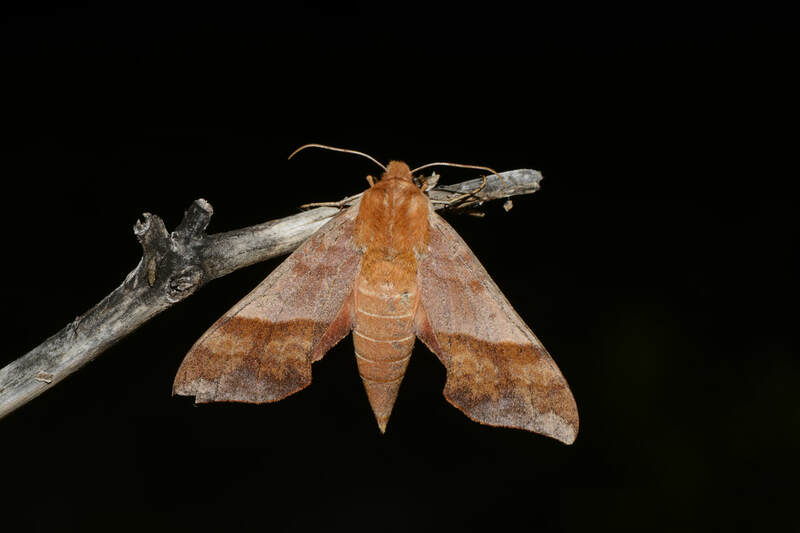 Bill Ohelke mentions that this species will readily lay eggs in captivity, just by placing the adult female moth in a paper bag (5). 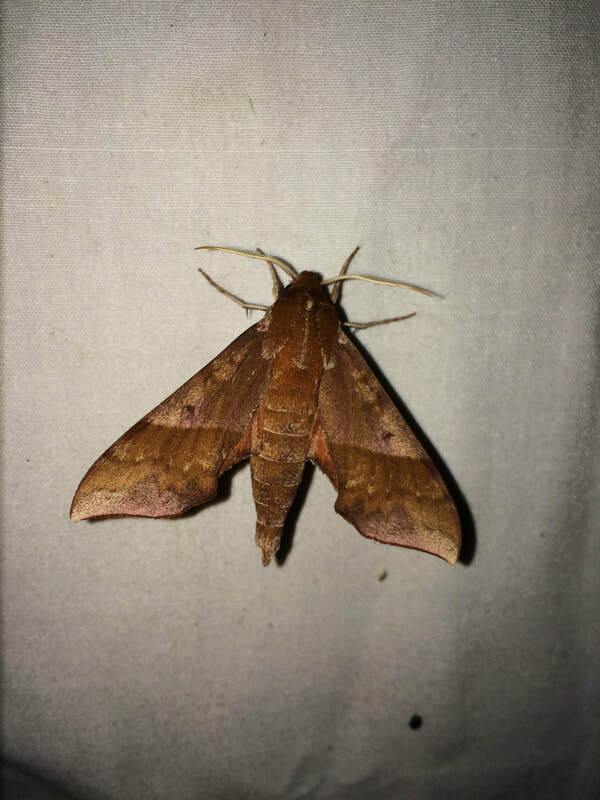 Adult description: This is a small sphingid, with forewings each measuring 27-34mm (2). 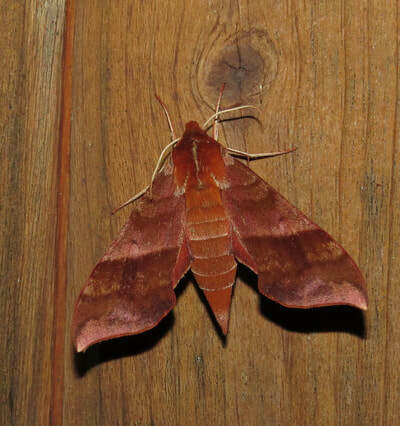 The general color of this moth is reddish brown, though some individuals do have a lovely pink hue. 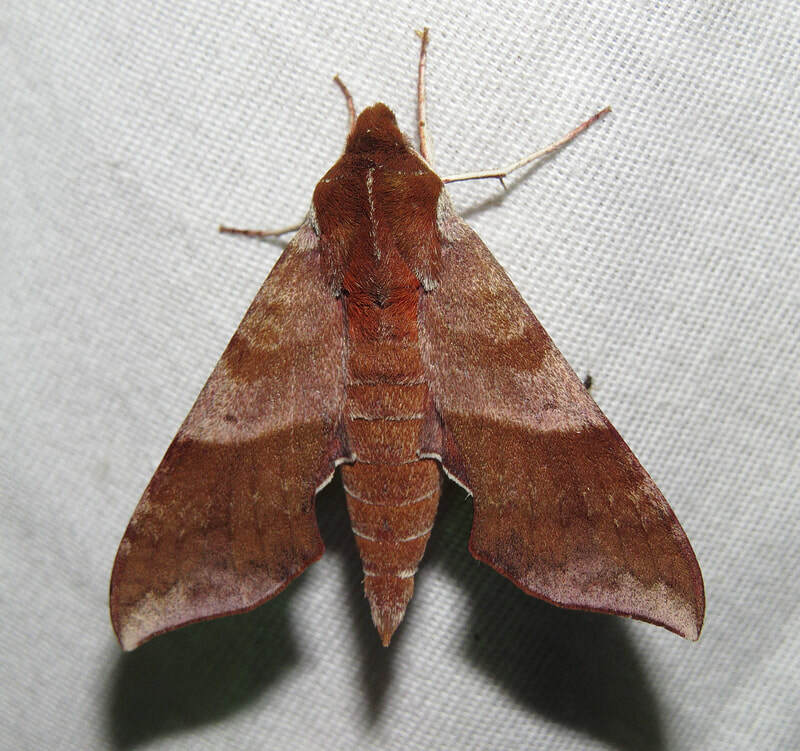 Unlike Darapsa myron this moth lacks distinctive striped markings on the forewings. This moth is usually bicolored, with the dividing line being slightly lower than the discal spot on the forewing. The area below the discal spot is much darker. The apex of the wing is usually lighter and almost pink. 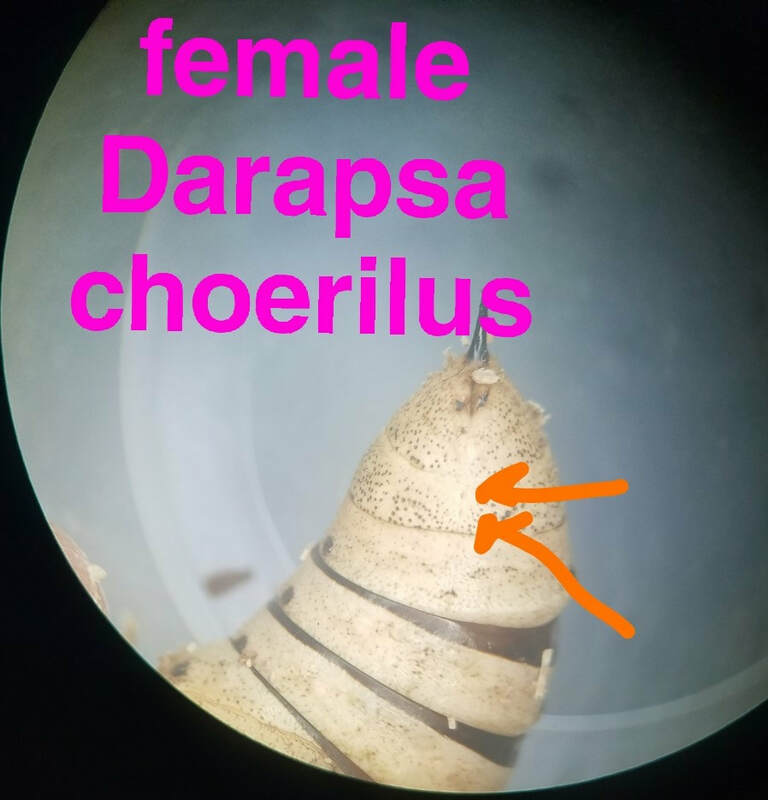 Tuttle notes that the quickest way to determine Darapsa choerilus is by the presence of a white/cream dorsal stripe on the abdomen and thorax (2). 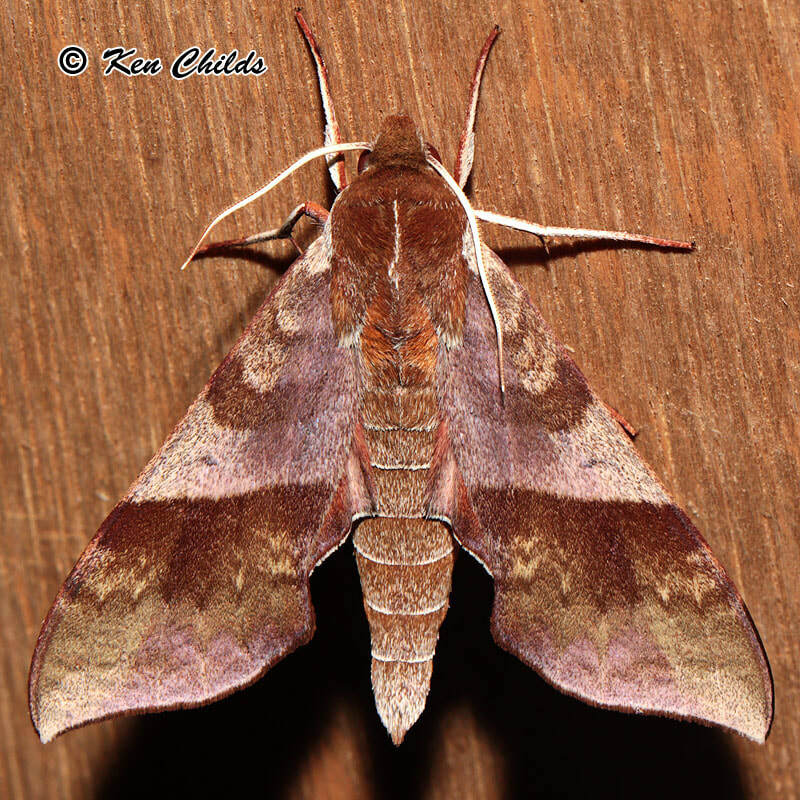 Darapsa myron may have a lighter patch on the thorax, but it is not a distinctive line. 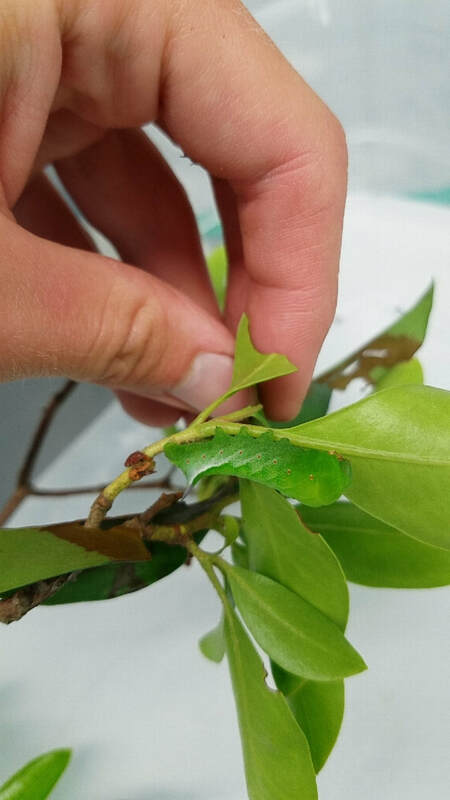 ​L5: This is a small, typically green larva, but also has a reddish-pink form. The larva has bright red spiracles and 6 large white streaks surrounding each spiracle. The last white streak extends to the bluish horn, which angles backward. 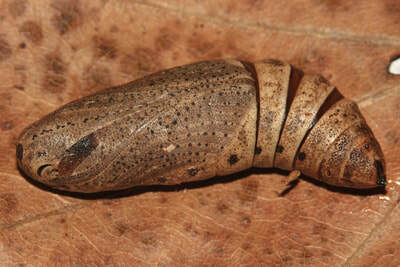 Superficially this larva is very similar to Darapsa myron but lacks the red-orange markings of that species. The swollen A1-2 segments are pronounced and like other members of this genus, it will retract its head into them if disturbed. The gallery to the left contains photos of Darapsa choerilus adults. If you have a photo that you would like to submit to us, please contact us. The gallery to the right contains photos of Darapsa choerilus larval and pupal stages. If you have a photo that you would like to submit to us, please contact us.